Back in July, we took a two week road trip to break in Caitlyn's passport. I mean, Canada is right there. How is it that we hadn't gone yet??? 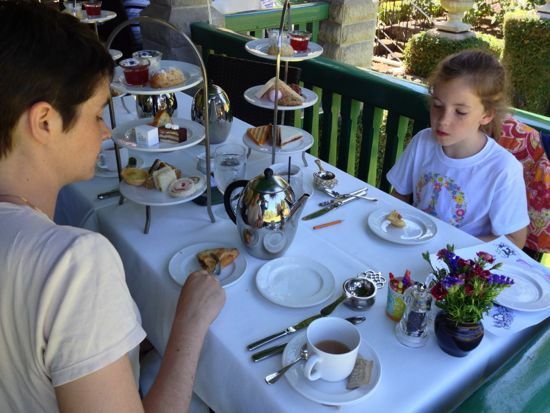 We enjoyed an afternoon tea at Butchart Gardens. Food and setting were lovely. I felt underdressed (but then anything short of Lady Grantham would have left me feeling underdressed). 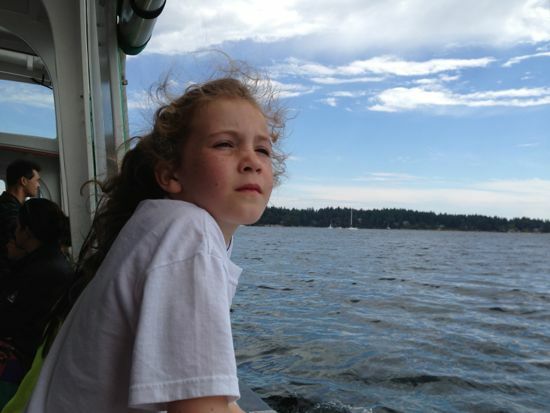 Our smallest non-human powered boat: the water taxi/ferry to Newcastle Island from Nanaimo. 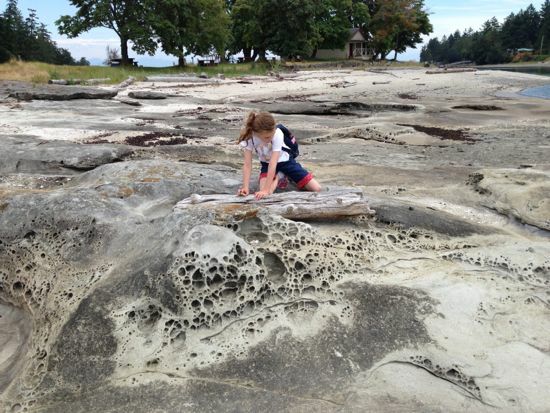 Exploring the shore at Newcastle Island Provincial Park. 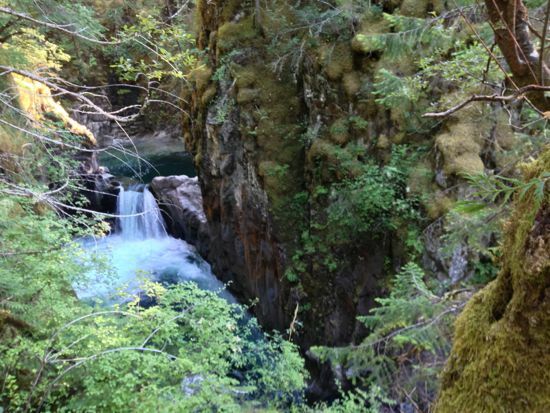 Little Qualicum Falls on our way west to the Pacific. 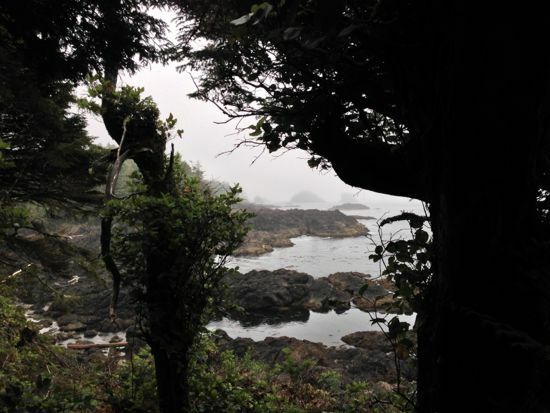 Morning fog on the Wild Pacific Trail in Ucluelet on the Pacific Coast of Vancouver Island. The buoys and lighthouse fog horn called to each other incessantly, a bit like confused and lovesick seals. 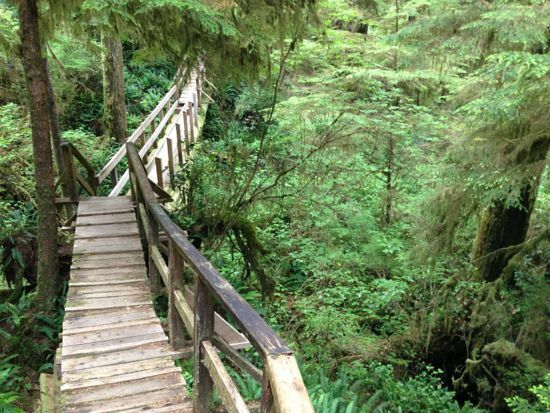 The Bog Trail in the Pacific Rim National Park between Ucluelet and Tofino. The trees are stunted and tiny but are actually quite old. Turns out, growing in salted, saturated soil is hard work. 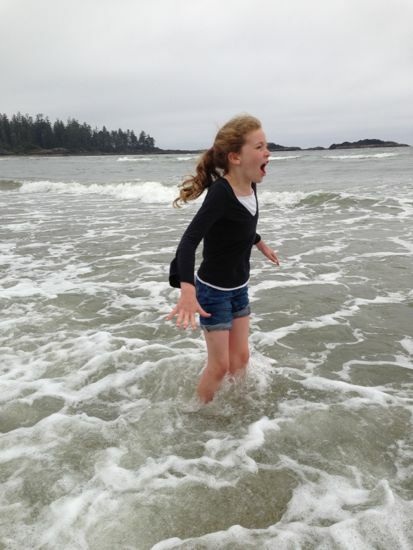 Caitlyn continues to think the Pacific Ocean isn't really all that cold. 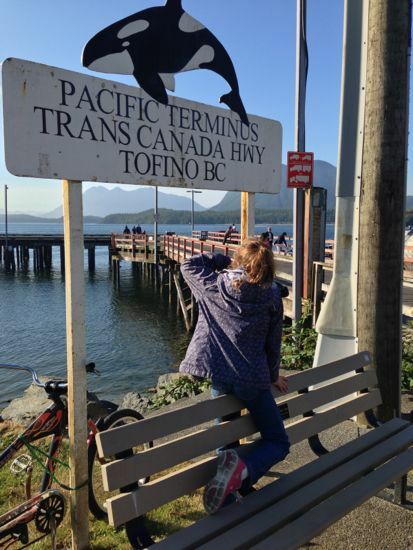 The end of the TransCanada Highway in Tofino. We stumbled on this while walking around town after some of the best burritos ever. Tacofino is hard to find but worth it! 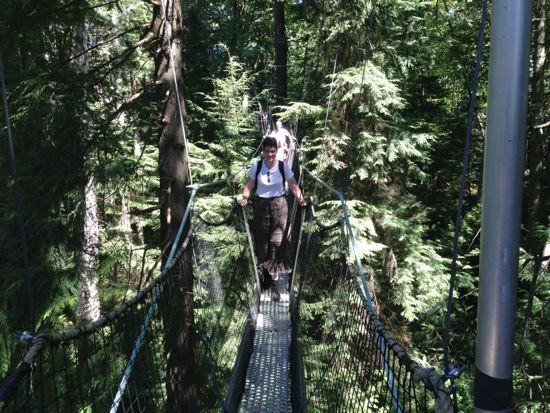 The Rainforest Trail, also in Pacific Rim National Park. Old growth and layers upon layers of green. Walking here will either make you believe in wood elves or convince you that Myst is a real place. On the way east again we stopped for lunch at a wide spot in the road by a bend in a river. 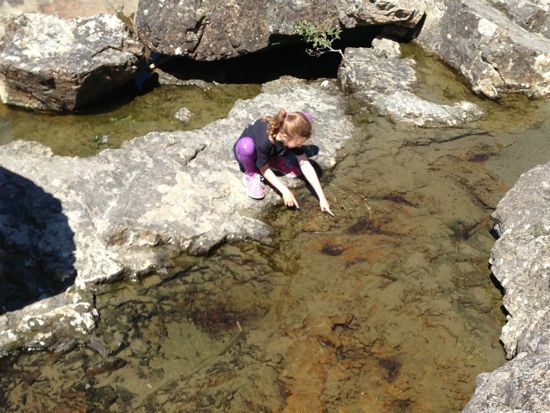 We picnicked, Caitlyn found tadpoles, and she and Ian swam in the river (quite a bit upstream of a waterfall but I was completely panicked the whole time, nonetheless). It was declared the best fresh-water swimming of our trip. Old growth Douglas fir in MacMillan Provincial Park. The tree is probably 800 or so years old. My favorite part was watching the other tourists' minds be blown by the size of the trees. 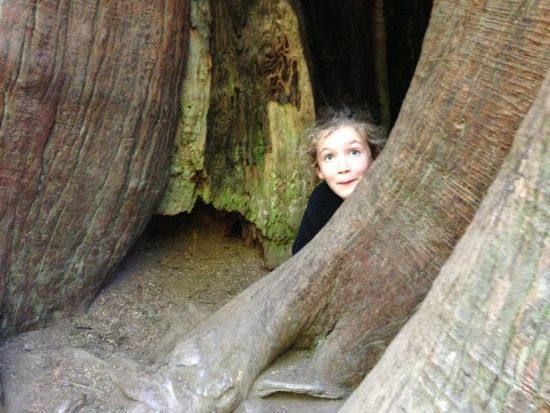 I forget that most people haven't spent years with Coast Redwoods. 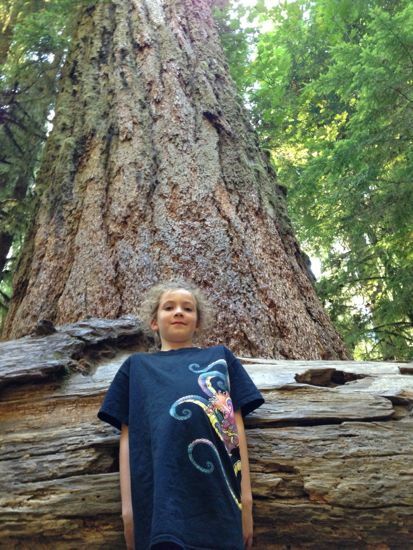 Tall trees are awesome... and totally normal to me. I remember traveling to New York state as a teenager and thinking all the trees there were short! 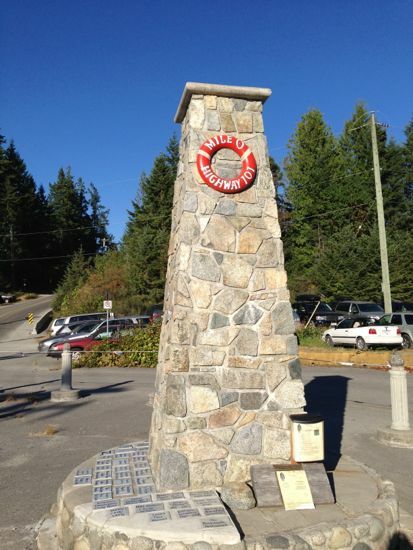 We caught a ferry from Comox and crossed over to Powell River and the Sunshine Coast. 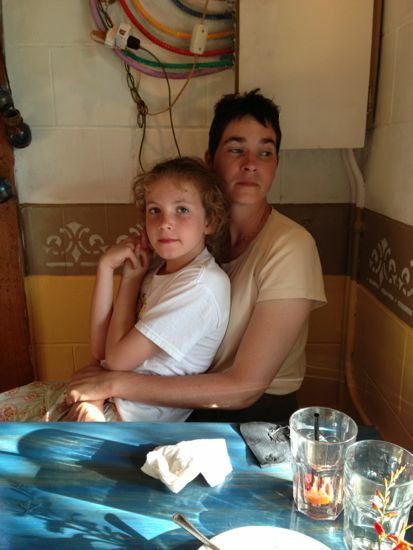 Dinner at Costa del Sol was fabulous: good food, excellent drinks, in an adorable flower covered building. You're at the end of the road, again. 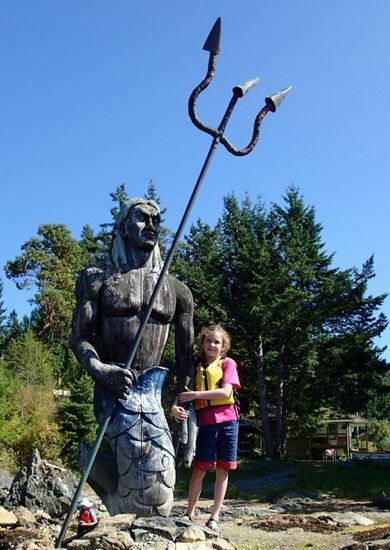 This time, it's in Lund, on the Sunshine Coast (the west coast of mainland British Columbia). Also, it's Highway 101, which runs along the whole West Coast (US and Canada). In Lund, we went on a kayak tour of the nearby coast. 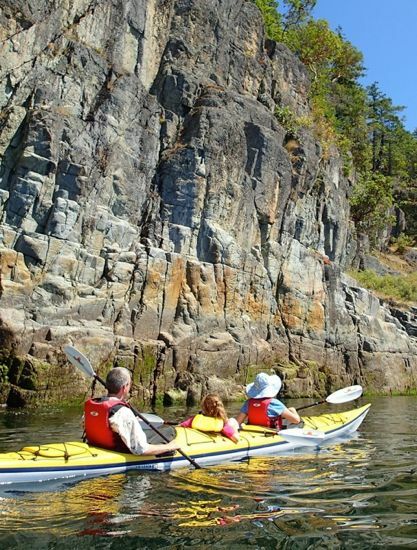 TerraCentric runs guided tours, something especially nice for people who have never seriously sat in a kayak. It's tempting to say, "How hard can it be?" and that's just the sort of attitude that will land you stuck in a boat, upside-down, underwater. Having a guide with us meant we could look at the scenery (Eagles! Seals! Millions of purple sea stars!) and not think about where we were, how far we'd gone, or whether we'd be able to paddle back. I especially appreciated knowing that if something did go wrong and we ended up in the water, there was someone on hand who knew what to do to get us back out again. 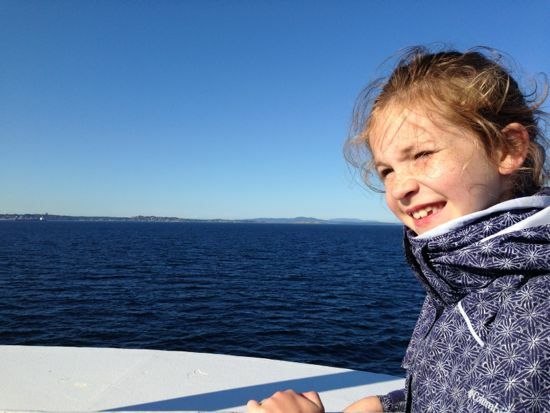 We worked our way south along the coast toward Vancouver, taking a lot of ferries. This is the view from the sundeck of the run to Earl's Cover from Saltery Bay. South of Earl's Cove, near Madeira Park, we found Francis Point Provincial Park. It's a relatively new park, with minimal parking and no services. But there's a walk to a bay for the best salt water swimming of our trip. Quiet, peaceful, unexpectedly warm, and lots of sea urchins. Another ferry and we arrived in Vancouver. We stopped at UBC to check out their Botanical Garden. They have a canopy walk where you can get up in the trees and look down at the understory. Fun change in perspective and amazing "tree-hugging" technology - a system to hold the weight of the visitors without damaging the trees. Think really big Chinese Finger Puzzles. 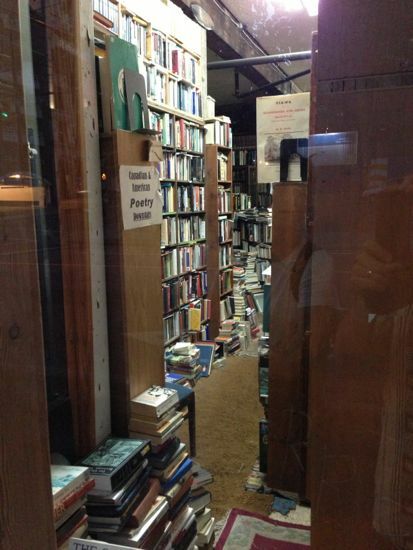 MacLeod's Books in Vancouver. This is the sort of bookstore people dream up to put in movies, where the books are piled on top of other piles of books and only the lone employee knows where everything is. But this is a real store, and it's really piles of books on piles of books. (See this post for more pictures.) I bet the Vancouver Fire Chief has nightmares about this place. 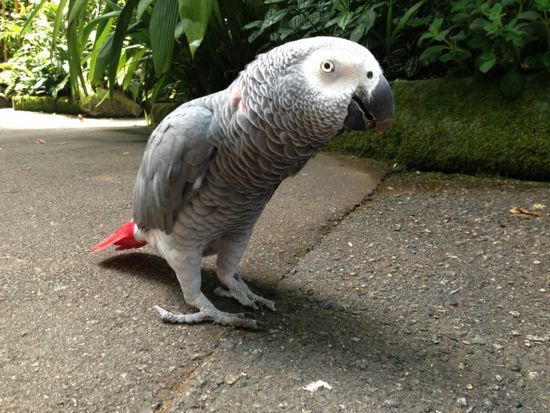 At the Bloedel Conservatory in Queen Elizabeth Park, we had a nice long chat with Rosie, the African Gray Parrot. Rosie's not supposed to get off her perch but she apparently likes to go for walks. 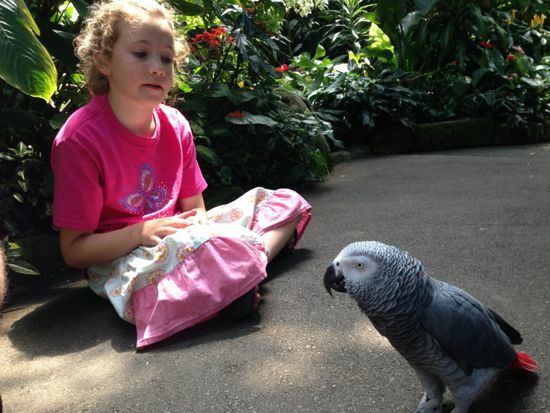 Both Ian and Caitlyn were able to sketch Rosie, who seems to have not gotten the notice that the Conservatory asks that visitors not touch the birds. She would walk right up to you and tuck her head, presenting her neck and back fro scratches. So tempting! Here's to summer and travel! Beginnng the Harvest, or Free Onions!